Find the best SEAT Ibiza leasing deals at CarLeasing.co.uk. The SEAT Ibiza has been a fan favourite for many generations, and it's still that same iconic car it was all those years ago. The Ibiza leans perfectly towards most audiences, first time buyers, young drivers and families alike. With impressive technology features, from Full-LED headlamps to Beats audio systems, there is something about the Ibiza for everyone to fall in love with. Find your perfect SEAT Ibiza by browsing our deals below. Choose from a range of optional extras and even insurance or maintenance if you want complete peace of mind. Our latest SEAT Ibiza leasing deals. Click the links below to view our latest SEAT Ibiza leasing options. 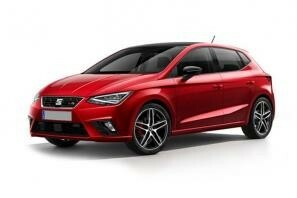 3 reasons to lease your next SEAT Ibiza from us. We deliver your brand new SEAT Ibiza vehicle for no additional cost.